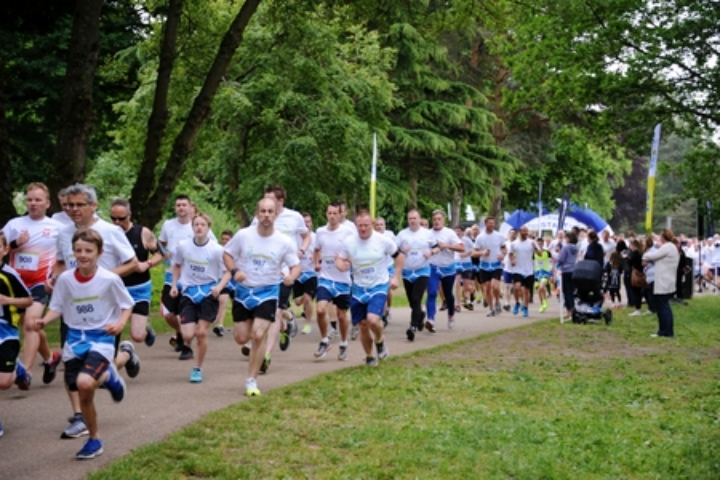 The annual event for men and boys to raise awareness of and funds for Prostate Cancer UK will take place in Bute Park on the morning of Father’s Day, June 19th and this year there will be a 10k as well as a 5k. Sponsored by Sanlam UK, the event was organised by Call Bruce and held at the Purple Poppadom in Cardiff. Colin created Go Dad Run after two of his uncles developed prostate cancer and although one responded to treatment and is now fit and well again the other was less fortunate and, sadly, passed away. That prompted him to find out more information about the illness and he was shocked to discover that whilst 1 in 8 men the UK will develop prostate cancer, that actually rises to 1 in 4 men from an African Caribbean background. He felt that he had to do something to help generate more awareness of men’s health issues so in 2013 he created Go Dad Run, now a series of 5K and 10K runs for men and boys, to get guys talking about their health and to raise funds for our official charity partner Prostate Cancer UK. By bringing together dads and sons, brothers and cousins, neighbours, workmates and friends who are willing to get involved in a run and play their part in the fight against prostate cancer we hope that we can have a positive effect on their lives and health. Inspired by the extraordinary success of Race For Life for women, we believe this is the only all-male event of its kind on the calender. For the first time we are offering a full chip timing service as well as a new team event. All registered runners will receive a Puma t-shirt, Big Yellow sports holdall, medal and a pair of blue Y-fronts to pull on over their shorts when they run! Runners can find all the information and sign up now at www.godadrun.co.uk or follow us on twitter and Facebook. The other runs will then be in Sunderland, Bristol, Worcester, London and the Isle of Man during June.